The Scream trilogy holds a special place in my heart, having been released right in the midst of my teenage years. This was the big horror series that, for each installment, I had to hatch some elaborate plan as to how to get into the local theater to see it (By elaborate plan I mean 'Have girlfriend make kissy-lips at the cashier'). 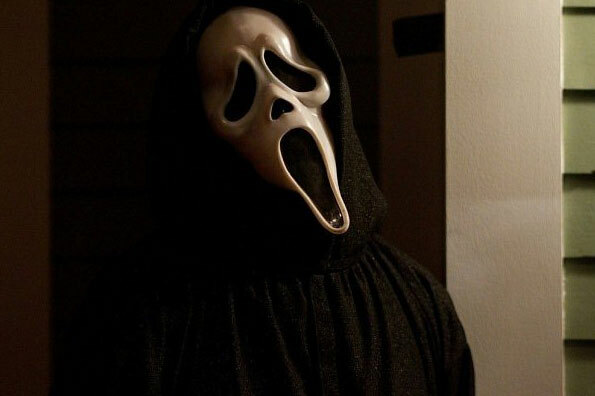 I'll be the first to admit the diminishing quality as the series progressed, beginning with the hip post-modern horror flick that was the first Scream which ultimately regressed to the Scooby-Doo mystery-like mess that was Scream 3. 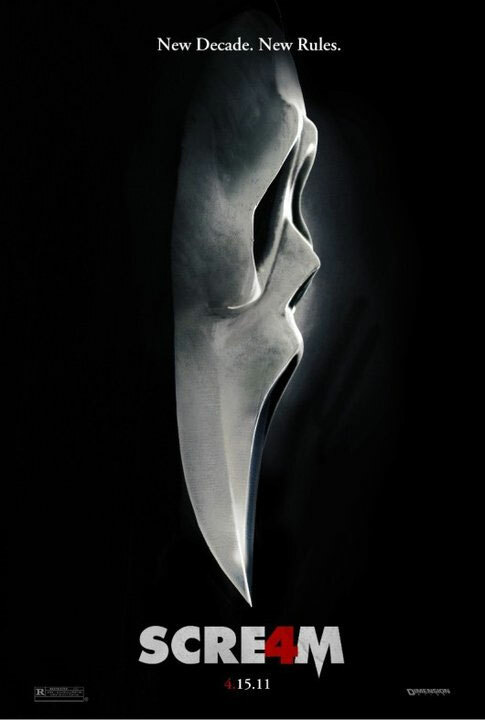 Still, I think some time away from the series will help the fourth film feel fresh when Ghostface returns to theaters on April 15, 2011. Speaking of the new film, here's some recently released publicity photos for Scream 4. Enjoy! I'd like to draw attention to the photo of the bloody murder scene. Frankly, it looks like an amazing visual -I don't recall any similar scenes of gore in the original trilogy, excepting maybe for the brief shot of Drew Barrymore swinging from a tree via her entrails in the opening of the first film. If this is an indicator of a bloodier edge to the violence in Scream 4, count me in. 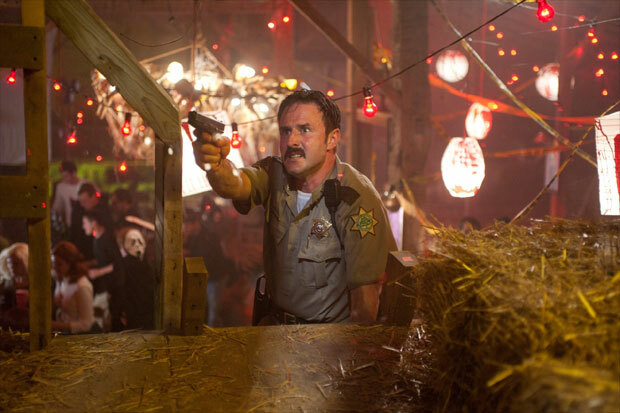 Scream 4 was directed by Wes Craven, written by Kevin Williamson and stars David Arquette, Courtney Cox, Neve Campbell, Emma Roberts, and Hayden Panettiere. 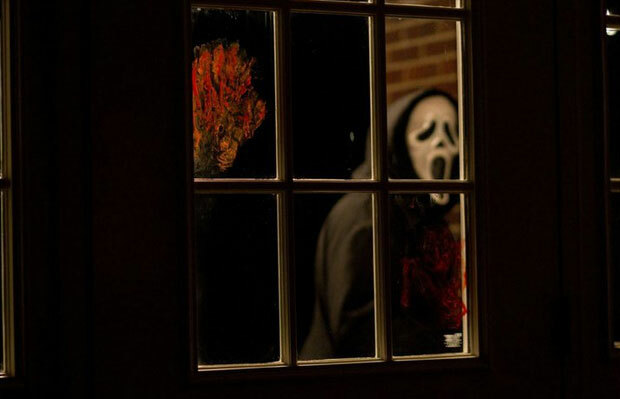 Scream 4 is in theaters on April 15, 2011.